Aleksandar Karakasevic has shown he still has what it takes on the world circuit, after the 40-year-old successfully navigated his way through to the semi-finals of the Czech Open. 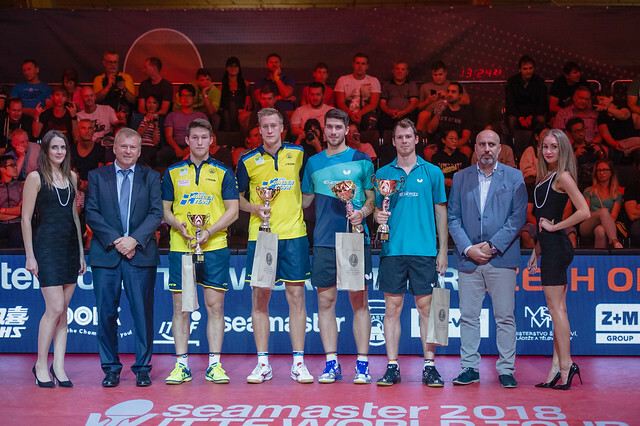 The Serbian player’s career highlights to date include: winning bronze at the 2011 European Table Tennis Championships and three US Open Championships, but Karakasevic’s victory over Mattias Karlsson (Sweden) at the 2016 Czech Open may go down as one of his greatest saves. Karlsson was flying at 3-1 up against Karakasevic in the last eight and few would have predicted the Swedish competitor would lose the match from the lead he held. Karakasevic, however, suddenly found another level and the complexion of the encounter completely altered. Karakasevic managed to bring symmetry across the scoreboard at three games apiece, before completing the comeback in the decider (7-11, 9-11, 11-9, 7-11, 11-4, 11-9, 11-9). Joining Aleksandar Karakasevic in the semis is Frenchman Stephane Ouaiche, who also eliminated a player from Sweden. Ouaiche beat the highly talented Anton Kallberg in their encounter (11-8, 11-9, 7-11, 11-7, 11-9) to reach the semi-finals, one round beyond Ouaiche’s previous personal best finish in the Men’s Singles category at a World Tour competition. Who doesn’t enjoy seeing a shock result every once in a while? Looking back on the day, certainly not Yuya Oshima (Japan) after he fell victim to Korea Republic’s Cho Seungmin. Oshima (30th) featured for Japan at the 2016 World Team Championships and has seen an all-round improvement in his play over the past couple of years, but for Cho (127th) that was more reason to be ambitious. The match hit deuce on two occasions, games one and four, and both times it was Cho who slightly edged it (12-10, 11-7, 11-6, 12-10). The hunt for Oshima’s first World Tour Singles trophy continues. Another Japanese player Yuto Muramatsu, is next up for Cho Seungmin with a place in the final up for grabs. Muramatsu is aiming to win his second title at this year’s Open in Olomouc having powered his way to Under 21 glory, and he has given himself every chance of success in the Senior event following his victory over Kazakhstan’s Kirill Gerassimenko (13-11, 8-11, 11-5, 11-7, 11-5).